We’re headed to Portland for the Long Weekend. 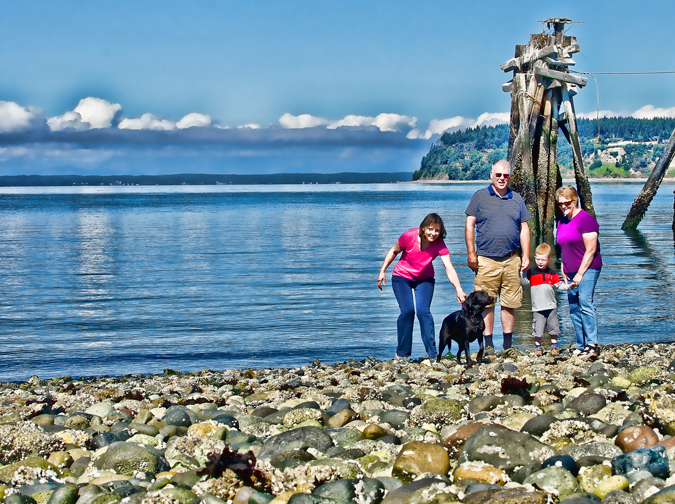 One of my fellow 365’ers lives just south of Seattle, and about the halfway point in our trip. I had met up with her back in June when my Grandson flew out from Maryland for the summer. Unfortunately at that time I didn’t get to meet her wonderful puppy Layla, who is the subject of every one of her 365 shots. 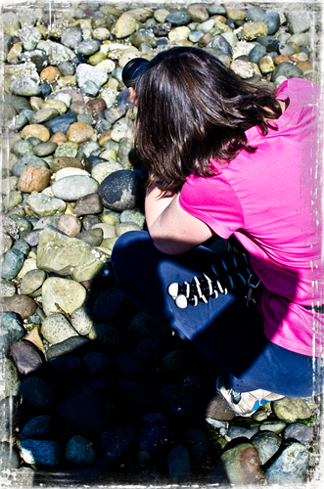 This time we met down at the waterfront at Chambers Bay for a nice walk and photo shoot. Oh, and we had our Great Nephew with us so he and Layla got lots of exercise! We couldn’t have had a more beautiful day either. The top shot was taken in front of an Osprey next on top of the pier behind us.